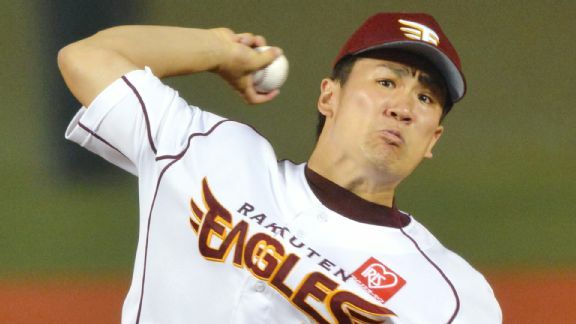 The Yankees have reportedly signed Tanaka to a 7-year deal. Wait, not that Tanaka. The Yankees desperately needed to add depth to their starting rotation and Masahiro Tanaka does just that. The 25-year-old signed a 7-year deal worth $155 million, add-on the $20 million negotiation fee and you get $175 all together for the most sort after pitcher this off-season. After missing the playoffs for only the second time in the past 20 years, this move puts the Yankees right back in the World Series conversation. 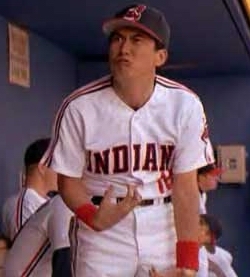 Tanaka is coming off a season in which he went a perfect 24-0 with a 1.27 era. He is in the early stages of his prime years, which won’t leave anyone second guessing a 7-year deal. His contract may sound steep, but given what front line starters are receiving these days, his contract is right on par. Hell, if his production is anything close to his final year in Japan, you could argue he would have earned a Clayton Kershaw, paying him up to $30 million a year. There is an opt-out clause after 4-years, so only time will tell how this will play out in the long run. Brian Cashman knew he had to not only add a starting pitcher to this roster, but a potential ace to anchor what is currently in place. Currently, there are 3 starters in set to round out this rotation, C.C. Sabathia, Hiroki Kuroda and Ivan Nova. Despite the name recognition, there are still question marks in this group. Last year Sabathia went through the worst season of his career, going 14-13 with a 4.78 era. To make things worse, when the Yankees needed him the most in the second half, he pitched to a horrendous 6.08 era over that span. Sabathia has made headlines recently for his new slimmed down look, It appears he has gotten himself into shape in hopes of returning to his old form. Kuroda’s numbers look solid at first glance, going 11-13 but with a 3.31 era. After pitching to a strong first half, similar to Sabathia, he struggled mightily in the second half going 3-7 with a 4.25 era. You have to wonder if age has caught up with Kuroda as he will be 39 come opening day. Ivan Nova made his return to the rotation about half way through the year and pitched quite well in his return. Nova went 9-6 with a 3.10 era, but he did pitch to an era over 5 just two years ago. Let’s not forget about Michael Pineda, the prized return in the Jesus Montero trade with Seattle. Pineda has been hampered with injuries and hasn’t pitched in the big leagues since 2011. He finally showed some signs of health in the middle of 2013, but only pitched 40 innings in the minors. Although he possesses the talent, his health is one giant question mark and there is every reason to believe he will be on some sort of innings limit this year. It’s hard to put much faith into Pineda. What I’m really trying to get at is this was a move the Yankees HAD to make. With the Yankees spending most of their off-season money revamping the offense, they were sorely overlooking their biggest need, pitching. But it appears Brian Cashman had a plan all along as the Yankees have had the strongest off-season in all of baseball. Reality is, the Yankees reverted back to their old ways and made Tanaka an offer he couldn’t refuse.